Soraya French's vibrant and exciting style has made her one of the most in-demand teachers of acrylic painting in the UK today. Acrylic paints, in all their many forms, have some truly amazing qualities as Soraya demonstrates in this superb new DVD. 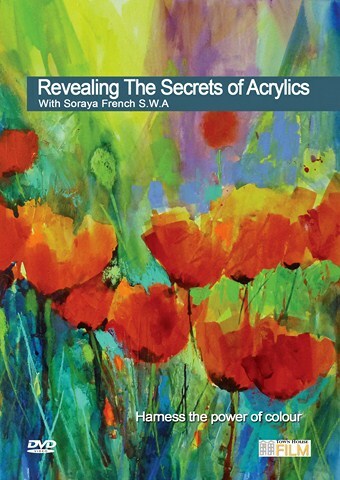 There are four full demonstrations on this DVD in which Soraya shows how to use the different types of acrylic available today.